As a personal injury attorney, I get asked a lot of questions about why I do what I do. Questions about why I choose to fight for individuals when I could just as easily defend big businesses and insurance companies. Questions of how I am able to deal with families that have been through such awful tragedies. Recent events serve as a heart-wrenching reminder of why I do what I do. On December 11, 2009, a 27-year-old woman had her young life unfairly stolen from her by the irresponsibly dangerous and inexcusable actions of another man and the bar establishment that enabled him. Sonia Baker’s car was struck by Jesus Cisneros, an off-duty Fort Worth police officer – a person who is supposed to serve and protect – whose blood alcohol level at the time was more than twice the legal limit. 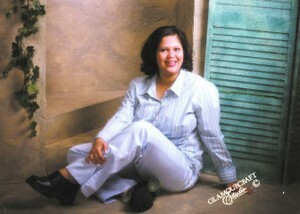 The collision left Sonia Baker’s car a mangled mess of metal and glass, and unfairly took her from this earth. Sonia was on her way to pick up breakfast for her two beautiful young boys, Amarion and Tayshawn, and her loving husband, Mario. They would never see her again; nor would her mother, Stella Lopez, who had just lost her husband less than half a year earlier. Cisneros had been drinking and partying throughout the night and was allowed to continue drinking heavily by the Pour House and its’ staff – even after he showed dangerous signs of intoxication. The Pour House put profits and a “good time” over safety and in turn allowed the life of a young woman to be stolen away from her at a far too young age – leaving behind a mother, husband and two children to try to pick up the pieces and deal with the loss of her solace, comfort and companionship. Sonia’s family and friends may never find closure or come to grips with having this young woman ripped from their lives. As a husband and father of three, I personally can’t imagine the grief that they are enduring. Sonia’s son, Amarion, was so distraught that he began binge eating and asked his grandmother if his mother had ran away from him. He saw her leave that morning and could not understand why she had not come home yet. His grandmother had to explain to him that his mom had gone to live with his grandfather in Heaven. To even imagine having to explain to my child that his mother didn’t runaway, but rather is dead, is overwhelming. Understanding how hard this has been on the Baker family is impossible for me. But to do what is right and demand justice for all is not. Not only did the Pour House continue to serve Cisneros, but one of its security guards, another off-duty cop, allowed Cisneros, and maybe even encouraged him, to drive home. Plain and simple, the Pour House showed complete disregard for the law. Any reasonable server knows that if an intoxicated customer drives, then there is an extreme degree of risk or a high probability that harm to third parties may occur. As such, any reasonable server knows that they MUST take into account the safety and welfare of others when serving liquor to their customers. On December 11, the law did not deter the Pour House from serving booze to an obviously intoxicated individual – a police officer nonetheless – who would in fact inflict considerable grief and pain on an unsuspecting family. Allowing a man this intoxicated to get behind the wheel is inexcusable. 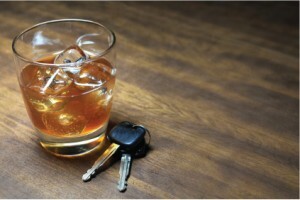 Three out of every ten Americans will be involved in an alcohol related accident crash at some point in their lives. More than 1000 families every month are forced to live with the tragic consequences of drunk driving. The Pour House was unequivocally the last in line to prevent this tragic accident from occurring. Regardless of whether Cisneros knew he was drunk or whether the City of Fort Worth failed to take reasonable precautions to keep Cisneros off the road, the Pour House provided the last alcohol- causing Cisneros’ inebriation, his poor judgment, and the tragic death of Sonia Baker. So, when I am asked why I do what I do, I think about people like Sonia and her family. I think about holding careless businesses responsible for their actions. I say I do what I do because people like Mario Baker and Stella Lopez need somebody on their side. I also think about the hundreds and hundreds of other families that have been hurt or had loved ones unfairly ripped from them by the reckless conduct of others. Then, I ask how can I NOT do what I do? Go get ‘em, Jeff!! Break it off in ‘em. You’re are absolutely amazing! There is not a better attorney to represent these families. I love you guys!! Thanks for the well wishes Milton and Tanner. Be sure to check back often. The tragedy which struck Sonia Baker And her family was needless and horrible. Nothing that happens from here on out will give Sonia back to her family. However, Sonia’s family is fortunate indeed to have Jeff Rasansky and his expert staff on their side. Mr. Rasansky is one of the premier personal injury and wrongful death trial lawyers in Texas. The Texas civil justice system is designed to help families like Sonia’s. Nothing will ever make up for the loss of this precious wife and mother. However, with the help of the Rasansky law firm the disgraced police officer and the irresponsible bar that sold the lethal alcohol will be brought to justice and the family will be appropriately compensated for its tragic loss.